The KELT survey repeatedly observes a set of dozens of fields around the sky. 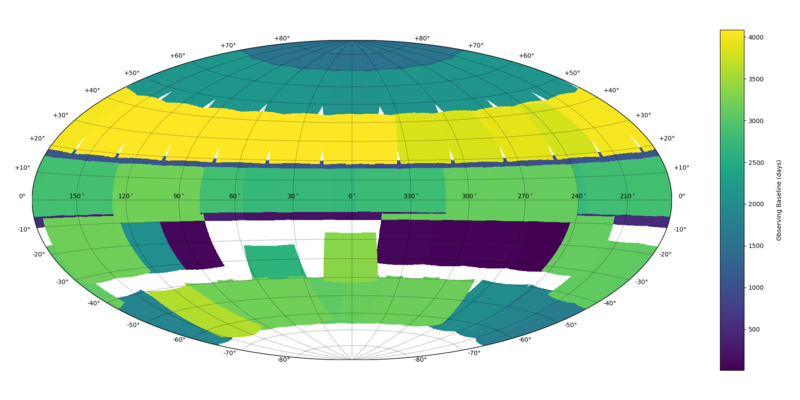 The locations of the fields are plotted in the maps below, with the sky shown in equatorial coordinates, and a number of relevant features shown along with the KELT field locations. The map on the left is centered at RA = 0 hrs, and the map on the right at RA = 12 hrs. 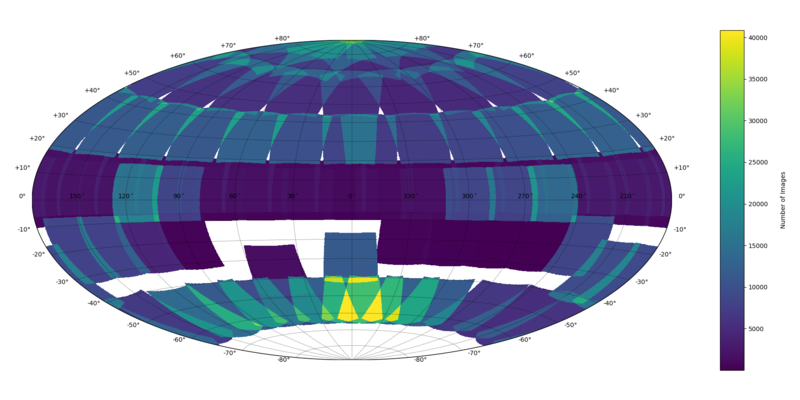 The maps show the locations of each of the KELT fields, along with the approximate locations of the TESS sectors, and the Kepler and K2 fields. For higher resolution of the maps, click here for the 0hr map and here for the 12hr map. Below, is the list of fields, with coordinates and number of observations, which we occasionally update. S06 and N14 are joint fields of each other, collectively J06. S12 and N15 are joint fields of each other. S34: Also called S33 and Target1 during Commissioning. 5623 images processed in commissioning. S32: Also called S31 and Blanco1 during Commissioning. 2294 images processed in commissioning. Reduced but not yet searched. S06 has an additional first observation date of 2015-05-06. S12 has additional first observation dates of 2014-09-13 and 2017-09-03.